Whatever the desire to become an entrepreneur, there clearly isn`t a right or a wrong one, but when the desire is born out of an actual need, an actual gap in a market, and the entrepreneur is a highly intelligent woman, the result is highly likely to end up being a success. Cue Jenny Ison of Jennifer Anne the Petite Collection. Jenny used to work as a lawyer in the City of London. She has always had an eye for fashion but found it near impossible to find suitable and fashionable clothing that would fit her. The problem: Jenny is just over 5”, i.e “too” short to fit into most women`s fashion. Sure, you can always have things altered, but the fit will simply never be the same. And sometimes, just sometimes, it would be nice to be able to go into a shop and be able to try things on, and wear it straight away. We all know the feeling of buying something that makes you feel good. That feeling of looking in the changing room mirror and go “Oh yes, I totally rock this! !” That feeling should surely not be limited only to those over or under a certain height?! Said and done; Jenny decided enough was enough. Read our interview with Mum in Heels; how she made the journey from lawyer to fashion designer, how she copes even on those days when self-doubt and fear creep in, and what makes her laugh. Anna: Your background is in law, but there must also have been some interest in fashion as well. Has that interest in fashion always been there, do you have a fashion role model or someone who has inspired you to go down the fashion route? Jenny Ison: Absolutely there has. My mother has been a big influence. She dresses very elegantly and always takes care of how she looks. I was conscious from an early age of how important dress was and although shopping could be frustrating as she like me is petite, the sense of excitement when we found clothes that fitted and looked right has stayed with me. Anna: Clearly, you saw a gap in the market, but what made you make the leap from being annoyed at the lack of suitable clothes, to actually setting up your own business? JI: Timing, as always, played a large part. I was in my early 50’s and ready to take up a new challenge. It all seemed to come together just at the right point in my life. Our two older children were already at university and the youngest one was pretty independent and would shortly be following his brothers. It was clear that I would have more time available as well as more space in my mind. In fact it did not seem like such a big leap at the time as I took it in stages and did lots of research: went shopping a lot (! ), reviewed other women’s wear brands and their ranges, went to trade fairs, talked to lots of people in the fashion industry and even did a short course at the London College of Fashion on how to set up your own fashion label. Only after all that did I finally come to the firm conclusion that I really could make a difference and decided to go ahead with my plans. Anna: Your clothes are all made in the UK, why was that important to you? JI: Well, there is a great tradition of manufacturing in this country and I really wanted my business to be a part of that and to feel that I was contributing to the economy of the country where I live. I have found some fantastic manufacturers here in London. You can stay so much closer to the whole manufacturing process when it is local and I was delighted to be able to pop in easily, particularly for me at the beginning when I had so much to learn. Anna: What makes a really good fabric? What factors do you take into account? JI: The fabric is such an essential part for any of the styles that we produce and the choice of fabric comes in right at the beginning of the design process. For me the feel is one of the first tests, when I look at any garment or am choosing the fabric for our range. If the fabric does not feel fabulous then I reject it straight away. The quality has to be right too and we only purchase fabrics from established suppliers. Practicality is also important and while some of the styles we have do have to be dry cleaned quite a number can just be washed in the machine or by hand, hung up to dry and no ironing needed. Anna: What do you love most about the clothes that you design? JI: I love how they make a petite woman feel fabulous in them. 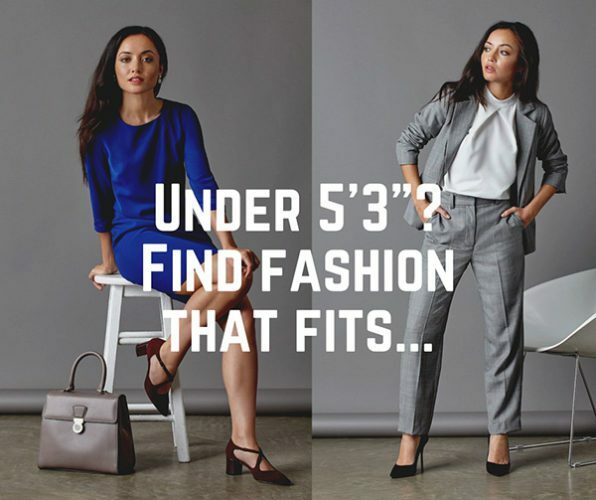 It is not just a question of the fit but the clothes themselves have been designed from the very beginning to suit the frame of a shorter woman. So the way the fabric falls, the detailing, the structure, the design of the fabric – everything contributes to this. Anna: What do you think the modern woman is searching for when she goes shopping today? JI: The modern woman is discerning and prefers to find items that will last and become a treasured staple in her wardrobe rather than ones that will last just a few wears and then sit forgotten in her wardrobe. So she looks for brands that she can trust, who care about quality and provide designs that she will be able to wear confidently for several years and not just one season. Anna: You are, literally, a Mum in Heels: You run your own business, you have a family, you are a creatively inspired person who pursues her own dreams and writes her own rules. Do you believe women can have it all? JI: I think that women often assume that other women they know or read about do have it all. However, when you talk to any of these women you realize that we are all running and juggling and compromising – nothing is as easy as it looks from the outside. However, just because something is a challenge does not mean that you should not go for it. I do think dreams are there for a reason and I know that I certainly thought I had a great opportunity to have a go and follow my dream. It doesn’t mean though that any of this is easy, resilience is key for anyone who wants to set up their own business/ follow a challenging career path, so that you can get through the difficult days and push on towards your goal. Anna: Family and business, how do you make that work for you? JI: I was lucky in that when I did set up Jennifer Anne, my children were already older and more independent. When the two older ones came home from the university during the holidays it was always more of a challenge but I work from home so that definitely helps. Anna: How do you define success? JI: Success for me is achieving the goals you set for yourself and also enjoying the journey to get there. Anna: Did you have a mentor who helped you during any of the stages of setting up and building your brand and your business? JI: My husband has been a huge help. He runs a large international manufacturing business and while he has no background in the fashion he understands the demands of business and is a great sounding board. Anna: Being your own boss, how does that work for you? How do you deal with fears, self-doubt and self-criticism? JI: I love being my own boss and now I would find it very hard to work for someone else. The freedom I have to choose the direction of the business both in every day and in the long term for me is key. Also the knowledge that when I make mistakes I don’t need to answer to anyone else apart from myself – it is just down to me to get on and deal with them and learn from the experience. Self-doubt is something that I do have to battle against but I am conscious about how much I have learned in the year since we launched and there are definitely a whole raft of mistakes I won’t be making again! Anna: What qualities do you think a woman needs to have to become a successful woman with a successful business? Or what would she need to work on? JI: No business runs without problems cropping up and hurdles to overcome. So you do have to have a healthy dose of belief in yourself, lots of energy, enthusiasm and commitment and very importantly resilience. 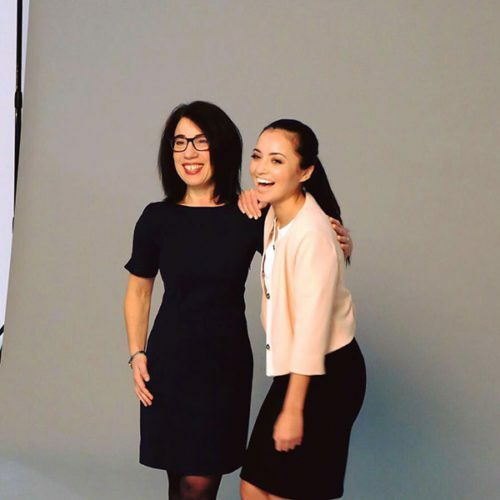 Women too often doubt themselves and their ability and if you want to start up a business you have to be able to push through those doubts – it’s not easy but this is definitely something critical to work on. Anna: What are the best business lessons you have learned during the process of setting up and running your own business? JI: To accept that there are areas where I do need help and that it is OK to get specialists in where that makes the most business sense – you can’t do absolutely everything yourself. Also, not to get too thrown by setbacks and hurdles – they will come up in any business and you have to develop a thick skin, not be overly self-critical and most importantly learn from them so that they are unlikely to happen again. Anna: How do you celebrate your successes? JI: Tell my husband and my mother! Anna: Describe one day in your working life and what clothes from your collection you would wear. JI: Deal with any overnight emails that have come in from customers. Meet with my designer in the morning to go through fabrics and designs for our new styles. I am wearing the Jennifer Anne Sita trousers in navy, which are just so comfortable with a wonderfully soft Persephone Silk Shirt in cobalt blue. We sit at my kitchen table and by the end of the meeting, it is covered with sketches and swatches. In the afternoon I change into the Jennifer Anne Bronte Button Front Dress as I have an evening reception. I travel up by train into London to work from Blooms a new business club for female founders. It is a beautiful space in the City and a great place to meet people informally. I have a meeting with Ally my marketing consultant and Jelly a photographer to discuss an outdoor photo shoot we are planning for pictures for the Jennifer Anne social media feeds. It is the first outdoor shoot I will have done, so another learning curve looms! In the evening I attend an evening event for a women’s networking group I am a member of. The reception takes place on the 40th floor of HSBC in Canary Wharf. The speakers are inspiring, the view is breathtaking and I come away having made some great contacts and delighted with compliments about the Jennifer Anne dress I am wearing. Anna: How do you start your day? JI: Yoga in my study (I have found a fabulous Canadian website with online classes www.doyogawithme.com where the instructors teach against a beautiful background of mountains, beach or lake) – it is a perfect start to the day. If the weather is fine I sometimes go for a walk/ jog on Wimbledon Common instead. I am not interested in food when I get up but after some exercise, I am definitely ready for breakfast. Anna: What makes you laugh? Anna: If you were a film, what would it be? JI: That’s an impossible question! I am going to say The Devil Wears Prada, just because it is such fun and is a fascinating look at the fashion industry.